Uttarakhand Revenue (Rajaswa) Department has released the advertisement for the recruitment of Patwari Lekpal in Haridwar district . Total 43 vacancies of Lekhpal (Revenue Sub Inspectors) will be filled in Haridwar and applications are invited till 30 November 2015. Recruitment is being done for the Patwari Training. Candidates having Graduate degree can apply for the post of Patwari & Lekhpal. – A candidate can apply for only one post (either Patwari or Lekhpal) and one district only. An application fee of Rs 300 (for GEN) and Rs 150 (for others) will be payable through Demand Draft/ Postal Order in the name of District Magistrate of Haridwar district. Selection for the Patwari recruitment will based on Physical and Written test. A district level selection committee comprising DM, SP, CDO, SDM etc will supervises the selection process. Note : After selection, candidates have to undergo a year training in Almora Training Centre on their own expense. Written exam for patwari selection will have 200 questions on General Studies, Reasoning and Hindi. It will be of negative marking. Check more details in advetisement below. Candidates can apply for Patwari & Lekhpal posts by sending application in prescribed format through registered post to District Magistrate Office of Haridwar District before 30 Nov 2015. Also send three Rs 5 stamped self addressed envelope and 1 postcard. 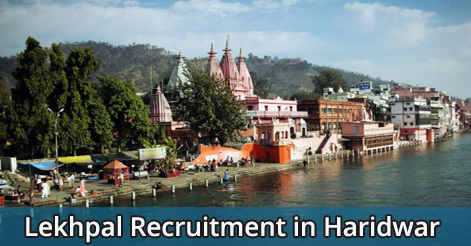 Help us to improve this article/job posting "43 Lekhpal Recruitment in Haridwar". We would be glad if you can comment below and provide your valuable suggestions and feedback. If this page have any wrong information/list or out of context content, then you can report us as well. I want information about lekhpal physical process in haridwar for girls?? I want information about leakhpal physical process in haridwar for girl ? dear sir one year traning ka kuch khas peta nahi chel pa r h kha or kesey peta chelega pl help me.